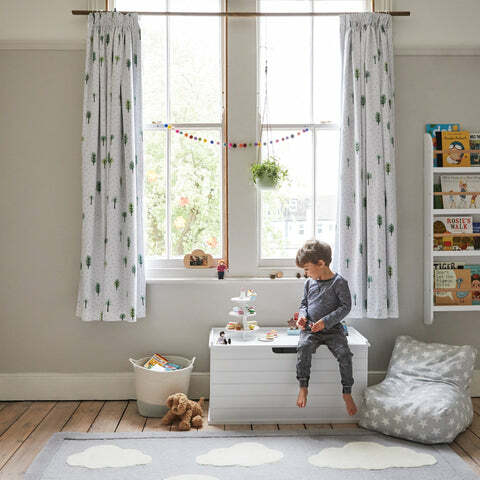 Children's Blackout Curtains - Woodland, W135 x L183 cm | Great Little Trading Co. 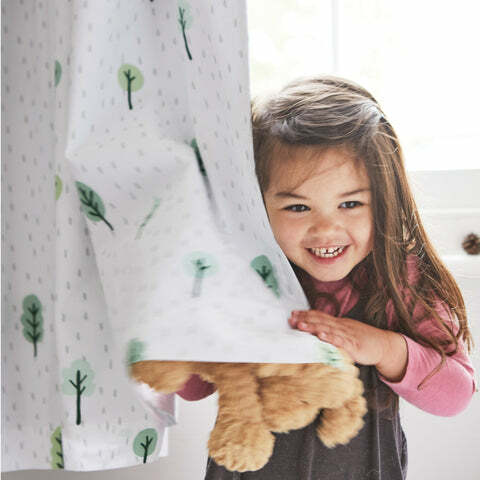 These delightful curtains have blackout linings to stop daylight disturbing your children's sleep. Thanks to their pencil pleat header they are suitable for use on either tracks or poles. Sold in pairs only. Available in two widths: Standard (W135cm panels, for curtain poles W120 - 160cm) or Wide (two W165cm panels, for curtain poles W160 - 200cm). Available in two lengths: Standard (137cm/54 inches) or Long (183cm/72 inches). 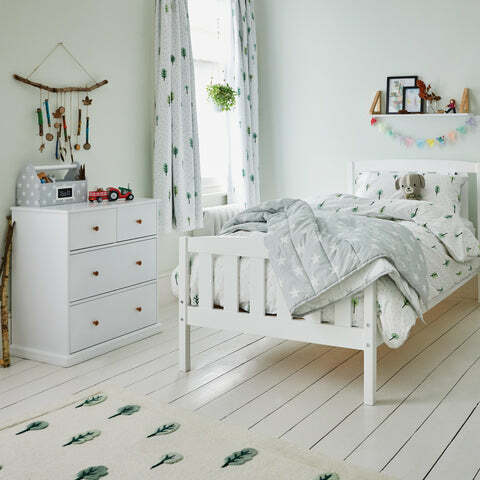 You can team up your Woodland blackout curtains with the matching Children's Rug and Children's Bedding; we also have a wide range of coordinating Canvas Storage Cubes and Rope Storage Baskets.